I’m reaching another age demographic soon and realising how, the older I get, just how much my view of myself has changed over the last few years because of the work I do now. Today I had a good laugh at myself today noticing that my daughter’s EHIC (European Health Insurance Card) expired three years ago. I’d presumed they were like NHS Medical Cards which you just keep forever (sorry if you need to go and check yours now). I used to think I was a detail queen because someone I worked with used to tell me I was. They called it something else a lot less flattering though! It’s only recently I’ve pieced together just how much that person’s view of me wasn’t entirely true or helpful. I hadn’t really appreciated just how ‘big picture’ I can be. Don’t get me wrong, I will dig right down into the detail quite a bit and I can get really into a spreadsheet to make sense of figures. What this person hadn’t appreciated is what underpins when I do detail though. It’s so I can understand the big picture because I absolutely love finding solutions to problems (which is great for what I do now of course). I used to get credit for that too, but I’d started to believe what my colleague used to call me as a label quite dismissively. In other words, I’d started to take it on board at the level of my identity instead of appreciating it was just something I did from time to time for a good reason. What we DO is very different to our identity. Over the last few years as a therapist and many more spent interviewing people in my recruitment career, I have seen how inaccurate (and often damaging) our opinion can be of ourselves. I love that a fundamental part of my work as a therapist and coach is to reconnect people with their strengths and resources. I also notice how many people struggle to tell me what those are when I ask them. There are so many reasons why people are misunderstood by others which then gets reflected back to them as some kind of character judgement, not surprising given the pace at which we live our lives now. A dear therapist friend is very good at spotting my limiting beliefs. Most of us have built quite a catalogue over the years. One of mine has been to imagine that I’m huge. I think that stems from my granny who used to say I came down the stairs, “like a carthorse”. I know she loved me to bits and wouldn’t have intended me to come away with a poor self-image but it stuck in my mind for some reason. It’s only in recent years that I’ve come to accept that I’m actually quite petite. Thanks to my friend for challenging me with, “is that true” every time I say something limiting, I’m more aware now of the story I tell about myself. I think a lot of what we think of ourselves is just a story. 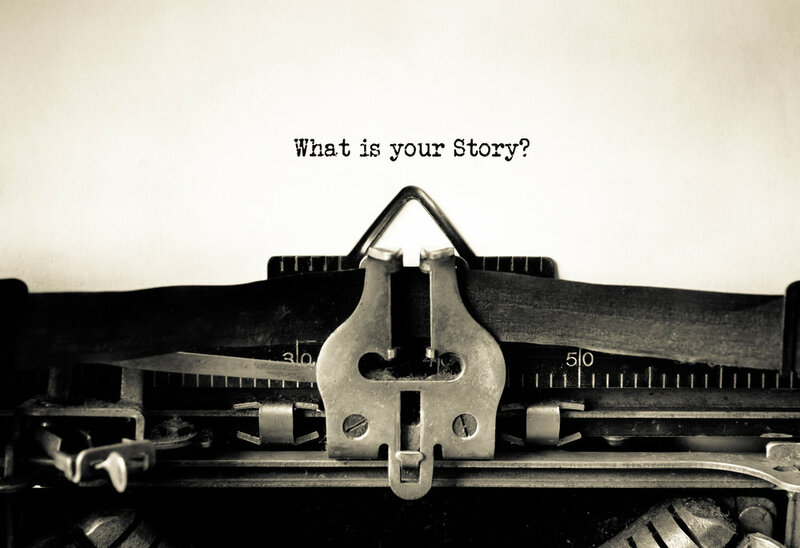 If it’s a story that means it can be re-written and you can be the author and choose the plot and character. Which leads me to encourage you as well because the truth about who you really are is, who YOU think you are! A lot of what other people say about you is just not true. So you don’t need to base yourself on that unless you know it’s right. Sometimes the ‘truth’ some people tell you can be constructive and worth taking on board , even when it might feel uncomfortable and painful. We may all have blind spots not just to our talents but also our weaknesses. So I’d love it after reading this, you experiment with yourself and notice how you might be making yourself up. If you didn’t have the labels other people give you, who would you be? Start noticing the difference between what you ‘do’ sometimes and who you really ‘are’. The two can be very different. If you’re a parent this is extra important to distinguish and we need to be so careful not to give our kids labels that limit how they think about themselves. You can challenge them with, “is that true” as well and help them learn the difference between what other people say about them or other people and their own ideas of what might be going on. Our sense of how OK we are with ourselves is so fundamental to therapy and there’s so much that cognitive hypnotherapy can help with to reframe where our misunderstandings about ourselves came from. It’s a complete joy to me just how much this can mean to people so they can get to telling me, “I’m OK” or “I’m good enough”. One of the best gifts you can give yourself on a daily basis is just to take a moment to breathe, remind yourself ‘I’m here’ and ‘I’m OK’. Human beings are built to deal with reality and, if you really think about that, we are OK a lot more often than we think we are. Sometimes we just need to remind ourselves.